The last part of our big family trip through Israel took us on a visit to the architectural wonder of Masada, down to the Dead Sea and ended with a bit of relaxation in the oasis of Eilat. Masada is an ancient fortress atop a rocky plateau. It overlooks the entire Judean Desert and the Dead Sea. Herod the Great built palaces for himself on the hilltop and legend speaks of a great war that ended in a tragedy during the first Jewish-Roman war. Today it is one of Israel’s most popular tourist destinations and is a designated UNESCO World Heritage Site since 2001. There are hiking trails for those who want to try them but for easier access, there is the Masada Cableway, a cable car that will take you to the top of the mesa. The best time to go is first thing in the morning or off-peak summer season. There is very little shade and the site is massive. Since we were visiting during the summer, our family with smaller children allocated an hour to explore the different areas and made it through Phase I of the entire site. The view is breathtaking at the highest peaks and the old bathhouse and some rooms have been well preserved. The rooms of an ancient past are sometimes eerie and silent but have small windows that peek out to the desolate landscape. This is a place where visitors can imagine hundreds of people once lived, worked and survived with hidden treasures of Ancient Roman and Jewish cultures combine. At the base of the Masada Cableway there is a museum and souvenir shop as well as a brief video presentation that explains the significance of this architectural wonder. The Dead Sea borders Israel, the West Bank and Jordan. It is a salt lake whose banks are more than 400m below sea level, the lowest point on dry land. For a unique experience this is a must stop in Israel. Some will choose to stay and enjoy coating the mineral rich mud on their bodies, float in the water and relax at the nearby spa hotels but our family chose to stay only a few hours. It was a nice way to end our brief stopover in the Judean Desert after walking around Masada. Of note – because of the high content of salt, any cuts or skin irritations will be uncomfortable. It is also not recommended to take extremely young children into the water, as you must not put your face in the water. You will emerge with a coat of salt on your skin, but the nearby outdoor showers and change rooms allows you to rinse off and change. The best way to experience the Dead Sea is to spread the mud all over your entire body and then submerge your body in the water allowing yourself to float. After leaving the water, rinse under the showers right away. 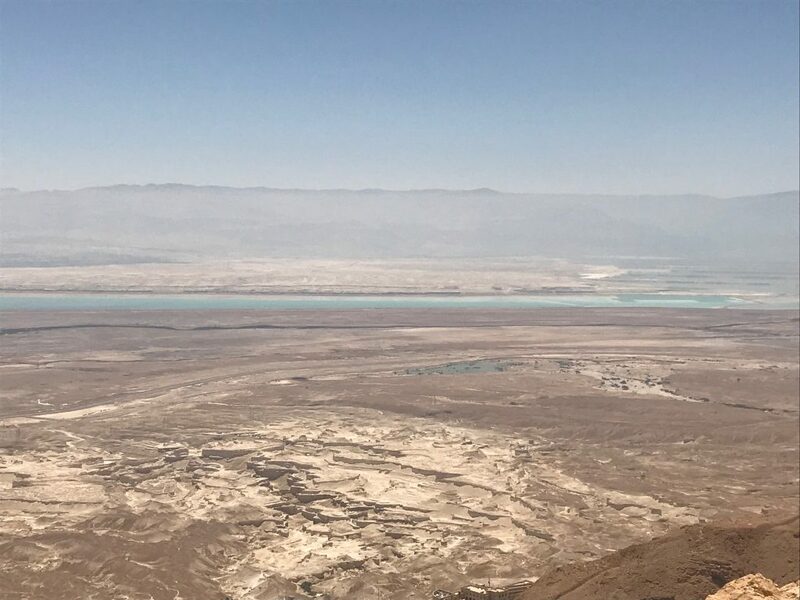 The waters and products of the Dead Sea are said to be extremely therapeutic but we just wanted the experience and after a couple of pictures, we enjoyed ice cream at a nearby café and got out of the extreme desert heat. After experiencing the heat of the Judean Desert, we made our way down to the oasis city of Eilat, part of the Southern Negev Desert. Eilat is Israel’s southernmost city situated on the Gulf of Aqaba off the Red Sea. A popular resort town, there is something for everyone of all ages to enjoy from luxury hotels with cooling pools, beautiful beaches, nightlife, restaurants and a nightly boardwalk full of shops with a carnival-like atmosphere. People come to Eilat to have fun and relax. There are numerous hotels or apartments to choose from in Eilat and the best way to experience the city is to wander around. With 1.2 kilometres of coral reef to explore, you can rent snorkelling or diving equipment and enjoy viewing some of the world’s most amazing underwater sights. 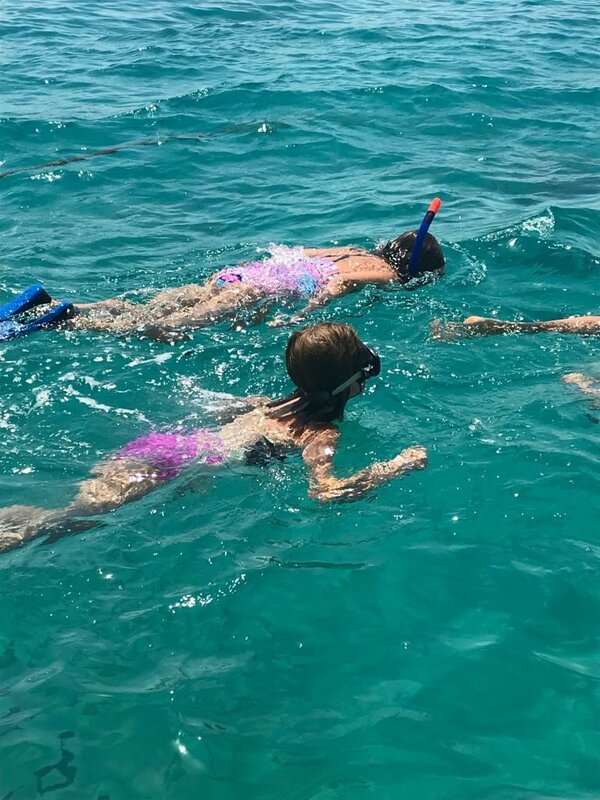 As one of the most popular diving destinations worldwide, taking the kids snorkelling is a great way to spend a morning. Located at the southern tip of Coral Beach this is the Middle East’s largest public aquarium. It has an aquaria, museum, simulation rides and turtle, shark and stingray tanks. Right near the boardwalk near the hotels are numerous outdoor restaurants with comfortable seating where you can park yourself for a later afternoon swim, watch the amazing sunsets and enjoy as much food and drink as you can handle. We stumbled on the Eilat fountain by accident while wandering around the main downtown area of Eilat. Free to everyone, this fountain turns into a musical water dance each Tuesday and Thursday – Saturday nights at 7:30 pm and again at 8:30 pm. During the day the fountain is used as a water park for children to run through and cool down but at night transforms into a beautiful display of colour, water and music that will delight all ages of your large family. On the tip of the gulf is Eilat’s Promenade. A long stretch of boardwalk it follows the coastline and is where travelers can find the best shopping deals, many restaurants and ice cream shops. In the middle is a neon lit-up fair with games and rides to delight all parts of your large family. This is the place to be at night, soak in the Israeli hospitality, buy souvenirs or just enjoy the family-friendly spectacle. Our family trip to Israel covered a lot of history. We tried a lot of different foods and had the chance to experience a culture that is an important part of my family’s heritage. 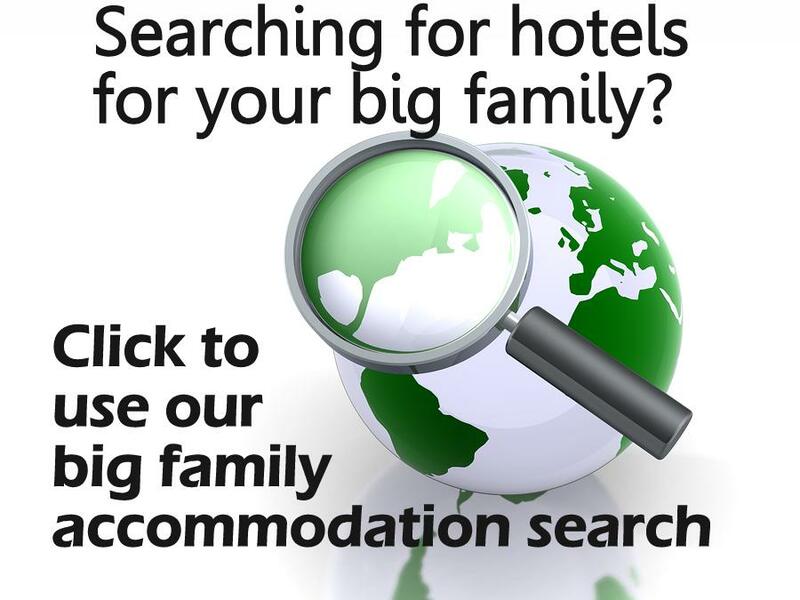 It is a great country to partake in anything from adventure, leisure or to simply visit. Catch up on this series on Isreal with Top 10 Family-Friendly Places To Visit In Tel Aviv and Big Family Trip Israel – Caesarea and Jerusalem. Rebecca is a freelance and creative fiction writer. When she is not the busy CEO of her kid and pet-filled house in Prince Edward County Ontario (Canada) or traveling solo or with her family, you will find her trying to capture her chaotic life at www.smalltowngal.com or on social media Twitter: @rhhouse and Instagram @rhousewriter.